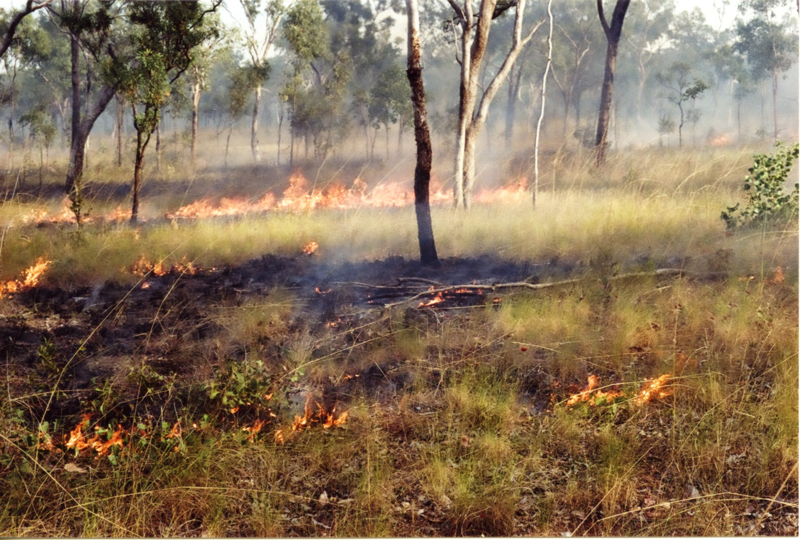 Fire is integral to many ecosystems in the Western Australian rangelands. Rangeland fires affect more than just pastoralists and the businesses they run: these fires affect community safety and health, regional economies, societal and cultural values of landscape, biodiversity and tourism. We provide the pastoral industry with information on the interaction of fire and grazing pressure on the productivity of rangeland pastures and animals to improve sustainable resource use. Fire and grazing pressure are the main drivers of productivity over which rangeland managers have some influence. Managed fire can reduce the risk of wildfires, benefit pasture productivity, be used to influence grazing pressure, and contribute positively to biodiversity values in fire-prone ecosystems. Wildfires, on the other hand, are a threat to safety and the business viability of pastoral enterprises, and threaten rangeland biodiversity and productivity. Burning will not improve land that is already in poor pasture condition. Fire affects land systems and pasture types in different ways and, importantly, has cumulative effects over time. There is no single ‘fire recipe’ that can be applied across all rangelands, vegetation types or pastoral leases. Fresh regrowth after fire is attractive to grazing animals and susceptible to overgrazing. Allow plants to recover after fire. Match the stocking rate to the amount of feed available after fire. Prevent overgrazing near water, preferred pasture types and sensitive areas after fire; total grazing pressure includes all grazing animals. Do not burn immediately adjacent to the most recent burn because this can lead to overgrazing along the 'edges'. Have the equipment, training and fire behaviour information needed for successful fire management. Burn only a limited proportion of a property in any one season. The relevant government agencies provide advice on aspects of fire management. The legislated hazard management authority is the Department of Fire and Emergency Services (DFES). DPIRD, Parks and Wildlife Service (within the Department of Biodiversity, Conservation and Attractions) and local government provide advice on certain aspects of fire management relevant to rangeland managers. Use aerial or ground burns early in the dry season to produce areas of relatively low fuel. Use natural barriers and changes in vegetation type to limit the spread of fire. Grade fence lines and access tracks. Clear fuel from around assets, such as buildings, yards and bores. Have the right equipment ready. Get training and develop the skills needed for managing wildfires. Animals prefer to graze the fresh 'green pick' produced when soil moisture is present after burning. Livestock will tend to move to the fresh green pick on burnt patches, and this reduces overgrazing of unburnt preferentially grazed patches. The result is that a greater percentage of the pasture is consumed by livestock and converted to livestock growth. Prevent overgrazing and loss of desirable plants on vulnerable, newly burnt country. 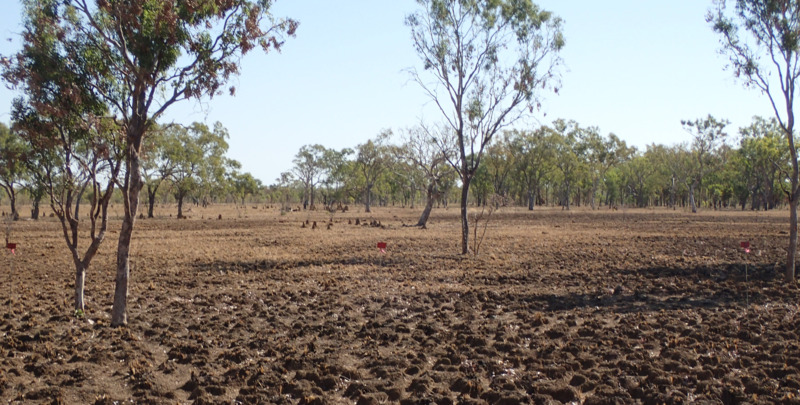 Reduce grazing pressure on burnt country by either burning a patch of country large enough to spread the grazing pressure, or reducing livestock numbers on the burnt country; managers can calculate suitable stock numbers on burnt country by using a forage budget. Manage grazing pressure and post-fire livestock trampling to maintain sufficient groundcover to reduce potential wind and water erosion risk on bare ground after fire. Reduce grazing pressure from feral animals and native herbivores. Reduce fuel over the property early in the dry season, while maintaining adequate reserves of feed for at least the remainder of the dry season. Use cool dry-season fires to create patches with relatively low fuel loads, in preparation for the more intense fires of the late dry (or summer) season. Under some circumstances, these patches may form an effective firebreak or provide a lower fire-intensity haven for animals. Use strategic fuel reduction as the first step in a rotational burning program for extensive areas of rank pasture without existing internal barriers. Maintain an effective network of firebreaks and tracks. Vehicle-width firebreaks will not stop a wind-driven fire; they provide access to allow personnel on the ground to safely light fires during planned burning or access for wildfire mitigation and mop-up. Note that low wind conditions are no guarantee that fires can be contained. Willy-willys (dust devils) are frequently generated when the atmosphere is unstable, even when the fuel load is patchy: these can pick up burning material and carry it over most tracks or graded firebreaks. Guidelines on the construction and maintenance of firebreaks (PDF 2MB) are provided by DFES. Protect fences from high intensity fire. High intensity fire will weaken high tensile wire fencing, may accelerate corrosion rates, and destroy wooden, fibreglass, plastic or ceramic fence components. Limit damage by grading heavy plant growth away from fences. Safety of people is the primary concern, and this means that pasture productivity may be sacrificed in the buffer areas around infrastructure and wherever people gather. Fire and grazing can be used to keep fuel loads low. Retain enough groundcover to prevent soil erosion. Consult DFES for guidance. Hot burns can reduce woody weeds or woody thickening of native plants in grasslands. The fine fuel load in the target area needs to be high enough to carry a fire of sufficient intensity to kill juvenile trees and shrubs. Hot burns are risky, and therefore firebreaks and other control methods must be good enough to prevent wildfires spreading. Contact DFES for advice on hot-burn planning and risk for the target area. A cautionary note: burning can increase or decrease the incidence of native woody species and exotic weeds, depending on the situation. We can provide advice to managers on likely outcomes for a target area or plant species of concern when planning a burning regime or a forage budget. Early dry-season managed fires are relatively cool and slow moving compared to late dry-season wildfires. Creating a mosaic of burnt patches across the landscape can have significant benefits for biodiversity, particularly for survival of native fauna that require areas with differing fire histories. In the northern rangelands, biodiversity depends on a mixture of early-burnt, late-burnt and unburnt country with vegetation at varying stages of maturity since the last fire. This is known as a 'mosaic' or 'fine-scale mosaic' burning regime. Biodiversity maintenance over the long term in some low rainfall or high value conservation areas depends on the absence of fire for very long periods. Damaging fires should be kept out of environmentally, socially and culturally sensitive areas. Such areas may be the focus of on-station tourism activities contributing to enterprise income. Reduce greenhouse gas emissions from managed rangeland fires by reducing the total amount of tropical, subtropical and semi-arid savanna country burned in any year, and shifting the seasonality of burns from intense wildfires late in the dry season to earlier, cooler fires. More information is provided on the Carbon farming and reducing emissions through savanna fire management web page. These management options are covered by the savanna fire abatement methodology under the Carbon Farming Initiative. Carbon farming presents an opportunity for land managers to financially benefit from providing the ecosystem service of mitigating carbon pollution. Late dry-season fires in savanna woodlands emit 52% (on average) more emissions per unit area than earlier, cooler fires (Russell-Smith et al. 2009). Shift the fire regime from predominantly late, extensive fires to a system dominated by earlier fires by developing a mosaic of burned patches with early cool fires, a system of firebreaks, and tactical fire suppression. Early burning using the Commonwealth Clean Energy Regulator approved methods can potentially reduce rates of rainfall run-off and improve water use efficiency on managed country. This scheme may be available to producers with savanna country receiving an average annual rainfall of 600 millimetres or more. Assistance for leases under indigenous management developing a carbon farming or fire abatement project may be available through the North Australian Indigenous Land and Sea Management Alliance (NAILSMA). Contact local government, the Department of Biodiversity, Conservation and Attractions, and the Office of Bushfire Risk Management within DFES for specific advice on wildfire regulations. Seek independent technical, financial and legal advice about your particular circumstances. Check the lease conditions on leased Crown land; you may need consent from the Minister for Lands. Note: frequent early dry-season fires are likely to reduce pasture growth in tropical savannas, especially if grazed soon after burning. See the regional fire management pages for more detail (links on the right-hand side of this page). feed shortage during drought or below-average rainfall seasons. These risks can be reduced through good planning and execution of fires. DFES can assist with general fire management planning and aerial burning programs to reduce wildfire risk on pastoral leases. Fire management is an important aspect of the overall property management plan, and includes prescribed burning and wildfire mitigation. land systems, soils, pasture types, topography. Managers can update the map during the season to help staff and visitors understand management needs. In most cases a permit will be required prior to burning, from the local shire Bush Fire Control Officer. Always consult and cooperate with neighbours and nearby communities. Regional fire management planning bodies and groups require and value input from pastoral lessees and managers. Local DPIRD officers can provide support for biophysical and infrastructure mapping services and assistance with developing or updating an overall property management plan. 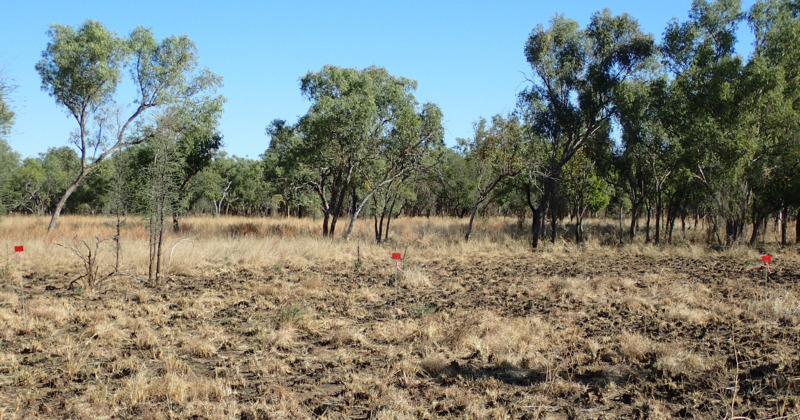 Rangelands NRM (Ecologically sustainable rangeland management planning) has provided free property management planning assistance. DFES (Guidelines for the development of pastoral station bush fire management planning) provides assistance with fire management planning for pastoral lessees. Pastoral lessees can take part in a subsidised (often free) annual aerial burning program. DFES encourages all interested lessees to develop fire management plans, and will assist lessees to develop a plan. Fire management planning is a free service that provides a map-based product for individual pastoral stations. Producing these plans does not constrain pastoralists in any way. Funding for this service is separate from the aerial burning budget, and assistance to lessees and managers for this activity is available all year round. You can find other information from your local Land Conservation District Committee, NAILSMA and the Australian Wildlife Conservancy. Landgate's Satellite Remote Sensing Services (SRSS): includes services for land managers, My FireWatch and FireWatch Pro. Contact Landgate for assistance with these. The North Australia and Rangelands Fire Information mapping service, which covers all of the WA rangelands with 2 options for users: the new site for good connections and fast internet or the old site for slower connections. Satellite-derived information is used by DFES to plan aerial control burning and to assist rangeland managers responding to wildfire emergencies. The Bureau of Meteorology (BoM) provides real-time data services on a range of data products on a subscription basis in addition to free information and forecast products (e.g. MetEye™) on the BoM website. MetEye is an online mapping tool that can be used to visualise weather data for locations, districts and catchments. This information can help make decisions about whether it is safe to burn or not. The Bushfire and Natural Hazards Cooperative Resource Centre releases seasonal bushfire outlooks for northern and southern Australia. Curing is a measure of pasture ‘greenness’ and is defined as the percentage of material in the pasture that is dead. The degree of curing has an important effect on fire behaviour. Fuel load is the amount of fuel or biomass that has accumulated in the pasture, measured as tonnes of dry matter per hectare (cut, then dried until fully cured). DFES has produced a visual grass curing guide and a series of regional visual fuel load guides to assist land managers to estimate and communicate the degree of curing and amount of fuel in the pasture. The fire danger meter and index gives a measure of how difficult a fire will be to control based on curing, temperature, humidity and wind speed measured in the field. Note: do not rely on grassland models for spinifex fires. Landgate has a very handy set of fire behaviour calculators that include spinifex, semi-arid mallee heath and other fuel types. Amicus is a new multiplatform computer application developed by CSIRO that enables the calculation of expected fire behaviour from burning conditions that you enter. Managers and employees can get training in fire safety and bushfire fighting from DFES if they join or form the local volunteer bushfire brigade. Relevant equipment including graders, water tanks and portable pumping equipment needs to be identified in the fire management plan and maintained in a good state of readiness. The local DFES office can provide technical advice on important items, such as drip torches, slip-on fire units, protective clothing and communications equipment. DFES has offered an early dry-season aerial burning program service to Kimberley pastoral lessees for more than 10 years. The aerial burning program is a service within the annual DFES budget for the Kimberley, and supplemented by grant application funding when required. Fire management plans for each lease are not an essential prerequisite for accessing the aerial burning service. return a predicted flight line path for your property as well as a signed intent form. A representative of the lessee must be present in the aircraft during the aerial burning flight runs on their lease or leases. Note that the signed form is an indication of intent only, not a contractual commitment. Withdrawal from the program due to unforeseen circumstances will have less impact than late indications of interest. DFES will attempt to ‘cluster’ aerial burning flight runs if possible to save resources. Therefore, the earlier you contact them to discuss availability, the more likely it is that your requirements can be accommodated within the schedule. The lead time required to arrange to get the helicopter to your lease is at least 1 week. The lead time may be longer at the peak of demand. Aerial burning programs for wildfire hazard reduction in pastoral areas other than the Kimberley can be organised if sufficient interest is indicated. For information on the aerial burning program contact DFES. For enquiries on all aspects of bushfire risk management, contact the Office of Bushfire Risk Management (DFES) on (08) 9395 9538. DAFWA 2012, 'Early dry season aerial burning program', in Rangelands Memo, March, DAFWA, Perth. Russell-Smith, J, Whitehead, P & Cooke, P (eds.) 2009, Culture, ecology and economy of fire management in North Australian savannas: rekindling the Wurrk tradition, CSIRO Publishing, Melbourne. Stretch, J 1996, 'Fire management of spinifex pastures in the coastal and west Pilbara', Miscellaneous publication 23/96, Department of Agriculture and Food, Western Australia, Perth, http://researchlibrary.agric.wa.gov.au/misc_pbns/35/. Suijdendorp, H 1955, 'Changes in pastoral revegetation can provide a guide to management', Journal of Agriculture, Western Australia, 3rd series, vol. 4, pp. 683–687.